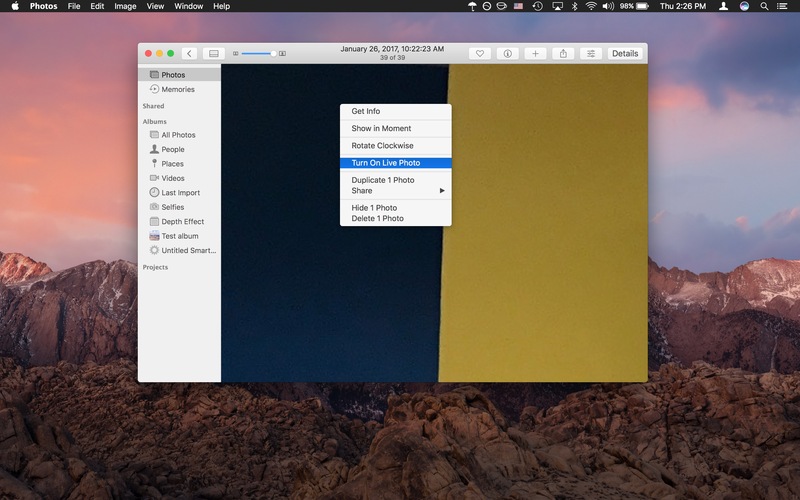 If you use the Mac Photos app for managing your pictures and you have a modern iPhone, you’ll likely have some (or many) Live Photos stored in your photo library. 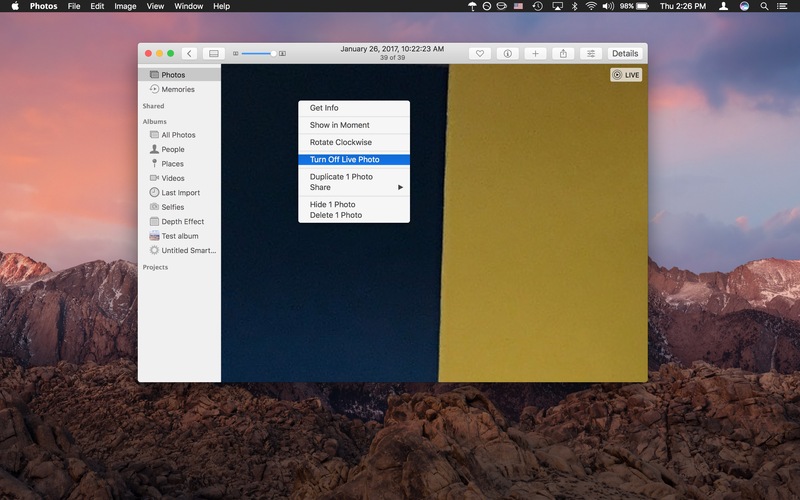 You can easily change any Live Photo on the Mac from the video picture form back into a still photo, and it’s fairly easy as we’ll demonstrate. We’ll show you how to change a live photo to a still photo, and also how to to re-enable a live photo that has been turned off on the Mac Photos app. You can also convert a Live Photo to still photo on the iPhone as well. If you find yourself toggling Live Photo off for many pictures you might want to just disable Live Photos on the iPhone camera to begin with to prevent them from being taken again in the future. You can always quickly turn the feature back on again easily to take a live photo if desired. Mac Photos users can also select large groups of Live Photos and toggle their video playing ability off or on together, though it’s likely best to focus on one picture at a time unless you don’t particularly like the Live Photos feature in general. can you please help me understand what is the easy way to erase a video from the new “TV” app….. it used to be quite simple in the “video” app…. but with this new one… the only way I have been able to delete is to got settings and delete from there…. which does not make sense… I am clearly missing something !! How do I get the old iphotos into the new Photos? Is is possible to choose which frame of a Live Photo I want to become the still? Is it possible to edit a Live Photo into separate still photos so that each photo is of a different frame? I don’t see this option. I imported the photos from my ipnone 6s into the photo app on the mac and the live photos show up as a still and a separate 3 sec video. There is no option to convert or turn off when I right click. The only option I see is to manually delete all of the separate 3 second videos. Can you help?